“Every thought you believe to be real, every emotional story you buy into, and every childhood belief system you’re still living under the guise of, is creating the reality you’re experiencing. Your mind is like movie screen that is perpetually receiving, regurgitating, repulsing, and reflecting a continuous bandwidth of images. Your conscious awareness is pure white light from the projector, which is not attached to or judging the colorful images projected onto the screen. Your ego, or self image, is the fabric of the screen and it decides in every millisecond of your life, what images, feelings, words and stories you believe to be true or false. It chooses which images the pr ojector should be focusing its attention upon, which ultimately determines the present moment reality you’re experiencing, as well as experiences, people, and situations you tend to manifest into your life. You are not a victim to your life. You have full reign over what you want to create. This light of pure awareness inside your projector can project anything! You are the director of your movie and you get to choose what story you want to believe is the truth, or just another fabrication of the mind. You are the producer of your show and can create heaven or hell in any moment. By focusing on what you want you create heaven, by focusing on what you don’t want you create hell. Either way, you are forever going to be the conscious choice maker behind your experience of life in each new moment. Simply change what images, thoughts and emotions your movie is focusing on, and you’ve changed your experience of life. You are the master of your reality. It really is that simple. Your life is meant to be this awesome magical adventure, where you are here to learn how to become the manifesting master of your reality. Inside you body is a genetic DNA program that generates codes of information and energy which are continuously creating the structure of your physical body. Physicists have discovered that these strands are not fixed, solid or stuck by any means. They are constantly altered and influenced by the thoughts you’re thinking and the beliefs you hold to be true. Your body is a sea of pure energy made of conscious quantum particles, which responds to whatever is happening in your mind because they are your mind. Your mind is not contained in your head, its found throughout your body and within the sea of energy all around you, and it’s VERY powerful. When you change your beliefs about your body, and visualize it to be a certain way, your body listens and responds according. Manifesting your dreams and desires is an ancient spiritual science. We were all born as sacred manifesting magnets in this beloved quantum playground, where the name of the game is “like attracts like”. 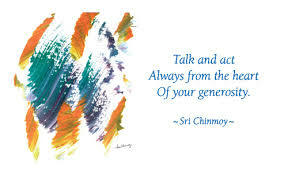 Whatever you continuously say, think and feel is what you attract to you. Your life is manifesting itself through you right now. This body that you’re living and breathing in, is already a super charged highly powered magical manifesting machine. It’s always being held in a loving embrace by the Divine Ocean around it, which is constantly responding to how your body is feeling, thinking and believing your life to be. Your magical vehicle is continuously forming the experiences you’re about to have in the near future. This thought you’re having (right now) about your expected “tomorrow” is creating a receptive magnetic space for that specific future to be aligned with you. If you look deeper inside your mind, you’ll see there are many many dreams and desires that you want to manifest. Some of them are headed your way very quickly, while others are buried deeper and will take a longer time. As you learn how to relax your body, quiet your mind and find that peaceful center in the middle of the cyclone of whirling thoughts, a magical shift will occur. You’ll see that your desires actually manifest at the perfect place and time. There is an amazing synchronicity that governs this Universe, you could call it your “synchro-destiny”. This synchrodestiny is that feeling that every thing, thought, person and purpose is perfectly aligned. When you meditate enough, your mind will tend to become very quiet, still and solitary, and then you’ll experience this divine perfection everywhere you go. The moment the mind surrenders it’s battle of fighting the river and swimming upstream against the current, you begin enjoying every minute of the ride. As the mind stops trying to get somewhere quicker instead of enjoying the God Source that is here now, the sweet sacred synchronicities of life are found and felt in each new moment. Meditation is simply a deep conscious relaxation into what is here now. When you make relaxation a priority in your life, you are taking manifestation sincerely, and will find yourself able to manifest miraculous things. It all happens when you practice learning how to relax, open up and feel as if you are receiving your desired dream manifestation now. A deep trusting creative feeling will take over your life and you’ll find each moment you are living in this sweet sacred flow, relaxing down the great river. By simply thinking about the most loving, sacred and divine healing source of energy you can imagine, your mind and body instantly tends to relax. The mind realizes how futile all its efforting is, and just lets go of its endless agenda. A calm spacious field of energy starts expanding within you and settles in all around you. You realize that this deep peaceful feeling is where you really wanted to arrive anyway, so the desired outcome you desperately wanted no longer takes precedence. It is this deep healing feeling of relaxation is the golden secret to raising your consciousness so you can keep your thoughts directed on what you want, and off of what you don’t want. Relaxation is the key to making your dream life come true. I find that many people get frustrated when I tell them to let go, relax and let their desires come to them. Their brain has been trained their whole life to work hard and strive for what they desire, and they fear being unmotivated and lazy. It may first feel absolutely redundant and backward to think you can just relax and receive something huge, like a million dollars. Yet, the people who win the lottery jackpot do it every week. They simply sit back with great excitement as the money pours into their life. The important thing to remember here is that they did believe at some point it was possible to win, which is what motivated them to buy that winning ticket. Ultimately, it doesn’t matter how small or big your desire is of what you want to manifest. Anything is possible. Bigger dreams are not necessarily harder to manifest than smaller dreams, they just take more patience, love and your precious focus. The real reason bigger desires often take longer to manifest, is because you have to let go of your smallness to let in something that big. They require more faith and positive emotion to accept as the living “truth” rather than smaller desires. However, with enough creativity, faith and patience, anything can be manifested in this quantum Ocean that you’re always connected to. This is the secret to integrate; that you are never separate from the Ocean of existence. The Universe is a multi-dimensional extension of you, and you are a personal extension of it! The ocean is in the drop, and the drop is in the ocean. The deeper you can accept this truth inside your being, the easier it will be for you to effortless see your life’s greatest dreams and fantasies manifest into reality. In order to become a living manifesting master, you must understand on a very Earthly rooted and Universal cosmic level that you are not separate from the Ocean of Existence which is brimming with consciousness. You are the center of your Universe, the hub of this infinite wheel filled with energy and consciousness. You are The Source of this eternal field of limitless probabilities. When you meditate enough, you’ll tap into the greatest source of consciousness within you, which is at the very center of “you”. Here you’ll discover first hand that you are governing the final reality around you, manifesting everything you are experiencing. You’ll know you are a manifesting master when you’ve integrated this knowledge into every waking, breathing moment of your day and evening. You’ll feel a complete “oneness” with the Ocean all the time. You’ll no longer buy into the fear based systems of the world, which are only meant to test you and make you stronger. Sure, the mind may try to return back to limited separation consciousness, yet the power of the Ocean is too great and will cause the ego to submerge. Once you surrender your pride, your personal agenda, and your emotional body to the all loving embrace of this divine Universe, the ego becomes so thin that it doesn’t get in the way anymore. With the ego out of the way, you’ll see your thoughts are forming your reality very quickly and with no effort at all. Perhaps the most interesting aspect of all on this manifesting journey is the topic of predestination. Since we live in a world filled with duality; meaning if there’s hot there must be cold, if there’s joy there must be sadness, if there are mountains there must be valleys, and if there is free will there must also be predestination. Some people resist the idea that everything is predestined because they feel it destroys their feeling of being totally in control of their life. Yet, they have seemed to forget one small detail here, that they are deeply molded by the past feelings, beliefs, thoughts, actions and stories they have been repeating throughout their entire life. Almost 90% of the thoughts you think today, are going to be the same types of thoughts you had yesterday. Sure, you always have the free will to decide who or what is in control of how your day is going to unfold to some degree, yet if you’ve been believing life is hard, grueling and challenging prison, your attitude about the future is going to be quite grim and you’ll have a tendency to flow down that same river of suffering. The secret to manifesting thoughts that support a life filled with love, abundance and deep intimate heart connections, is abiding in the very source of the source where all thoughts are born. The source of your thoughts is so deep inside you, that you have to surrender everything you know as your “reality” just to get a glimpse of it. Yet, when you do find the source, you’ll be able to redirect the flow in a more positive and exciting direction. The biggest truth you can find in life is always the most liberating. The greatest truth I’ve discovered so far is that there are always three sides to every coin. There are always at least 3 realities, perspectives and life paths we can manifest in each given moment. One is that your entire life is predestined to turn out a certain way. 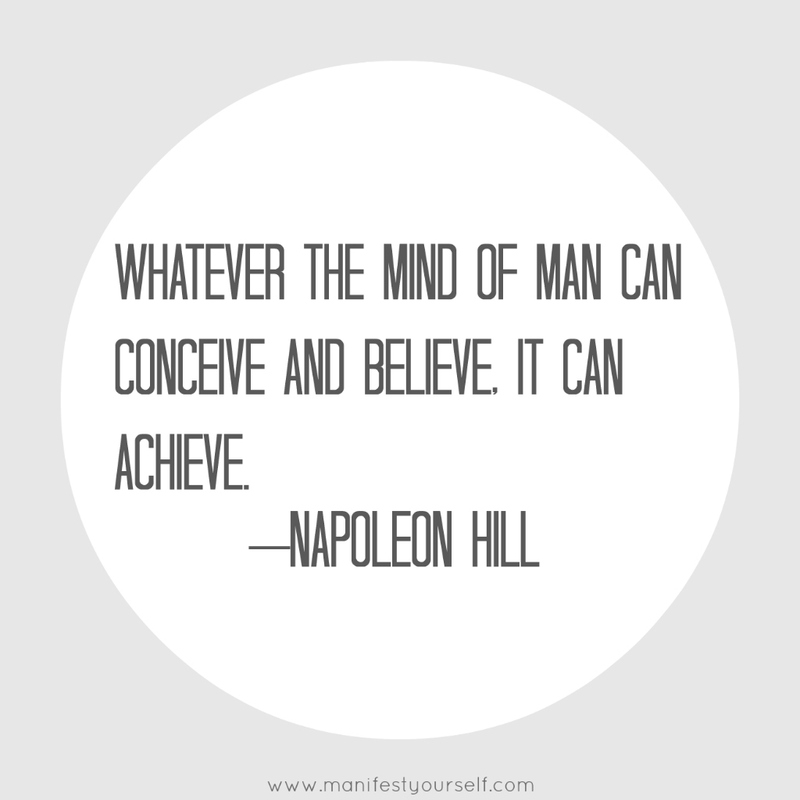 Two is that you have complete free will to create anything you want to manifest at any time. Three is that a liberating paradigm that is every flowing in a balanced state between these two polar extremes. In this third side of the coin, you are riding the razors edge of life and are not buying into either paradigm of free will or predestination as the ultimate truth. You realize that the edge is what takes you beyond the truth, beyond the mind, beyond reality, and into the formlessness that is your very soul. It’s living from this spiritually awakened space that you find life flows in the most abundant, magical and amazing ways. 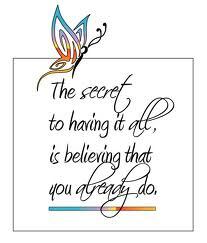 You are then truly capable to effortlessly and consciously manifest anything you want with pure ease and joy. You are not attached to anything of this world, because you are living as the guru of your life, in a perpetual state of self confirmation, riding the waves of desire, on an Ocean of bliss all the way home.” I love it! It’s written by Jafree Ozwald, “You are Always manifesting your reality“.